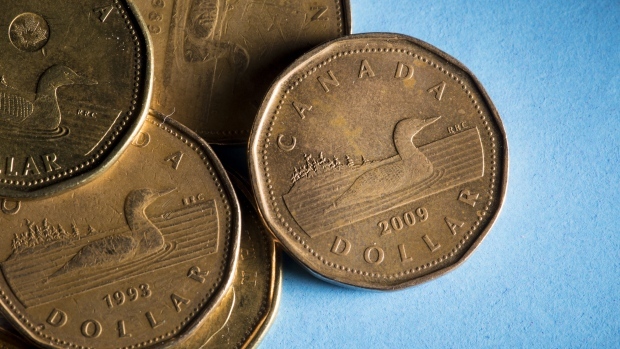 The Canadian economy's underperformance relative to the U.S. of late has put downward pressure on the country's currency, but that should help the economy through a temporary slowdown, a Bank of Canada official said. In a speech on how Canada manages its foreign exchange reserves, Deputy Governor Tim Lane touted the benefits of the country's floating exchange rate policy that has allowed it to quickly adjust to shocks and keep reserves at low levels. “To a certain extent, movements in the Canadian dollar reflect the comparative strengths of the Canadian and U.S. economies -- which are linked, in turn, to expectations for each country's monetary policy path,” Lane said, according to prepared remarks he will deliver Wednesday at the Peterson Institute for International Economics in Washington. Lane's speech went over the history of Canada's reserve management practices, pointing out the country hasn't intervened to stabilize the Canadian dollar in over two decades, even though the option is always there if necessary. Canada's current level of reserves are about $85 billion, or about 5 percent of GDP. That's below what most other countries hold, Lane said.